Starting from the observation that the simplest form of forced mechanical oscillation serves as a standard model for analyzing a broad variety of resonance processes in many fields of physics and engineering, the remarkably slow development leading to this insight is reviewed. Forced oscillations and mechanical resonance were already described by Galileo early in the 17th century, even though he misunderstood them. The phenomenon was then completely ignored by Newton but was partly rediscovered in the 18th century, as a purely mathematical surprise, by Euler. Not earlier than in the 19th century did Thomas Young give the first correct description. Until then, forced oscillations were not investigated for the purpose of understanding the motion of a pendulum, or of a mass on a spring, or the acoustic resonance, but in the context of the ocean tides. Thus, in the field of pure mechanics the results by Young had no echo at all. On the other hand, in the 19th century mechanical resonance disasters were observed ever more frequently, e.g. with suspension bridges and steam engines, but were not recognized as such. The equations governing forced mechanical oscillations were then rediscovered in other fields like acoustics and electrodynamics and were later found to play an important role also in quantum mechanics. 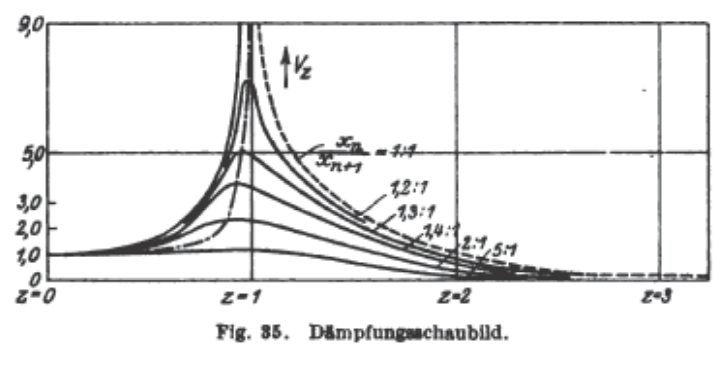 Only then, in the early 20th century, the importance of the one-dimensional mechanical resonance as a fundamental model process was recognized in various fields, at last in engineering mechanics. There may be various reasons for the enormous time span between the introduction of this simple mechanical phenomenon into science and its due scientific appreciation. One of them can be traced back to the frequently made neglect of friction in the governing equation.